Petra is one of those places that I knew of but didn’t know a lot about. Most people (at least from my generation) would know Petra from the film Indiana Jones and the Last Crusade, but kids of my generation were certainly not taught much about this part of the world in school (or maybe we were and I was staring out the window in that class). 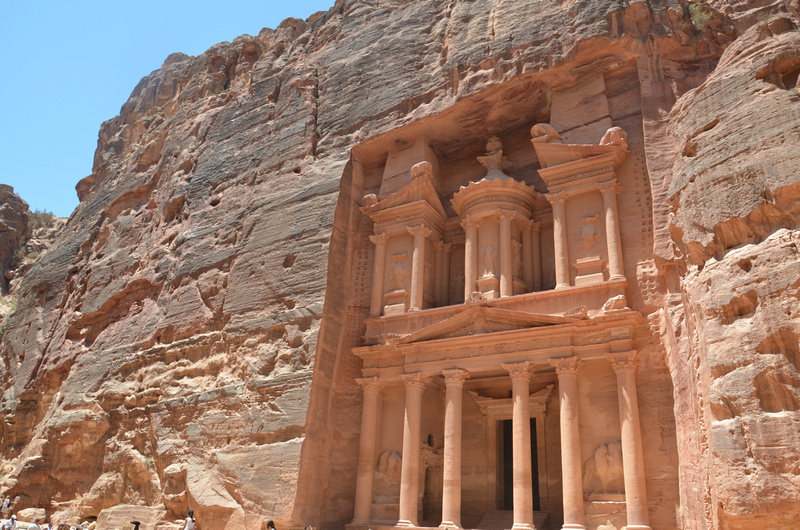 More recently, Petra won a place on the list of the worlds New 7 Wonders. Having visited Chichen Itza last year and coming to the conclusion that it was wonderful, but not top 7 worthy, I made sure to keep the lid on expectations for Petra. I was travelling around Jordan with fellow travel writer Kevin Revolinski. Our itinerary listed visiting Petra for a day with a visit to Little Petra the next morning. A whole day? Yes, and it turned that we would need every minute. Entering Petra is perhaps the most impressive natural entrance to a ruin site I have seen. 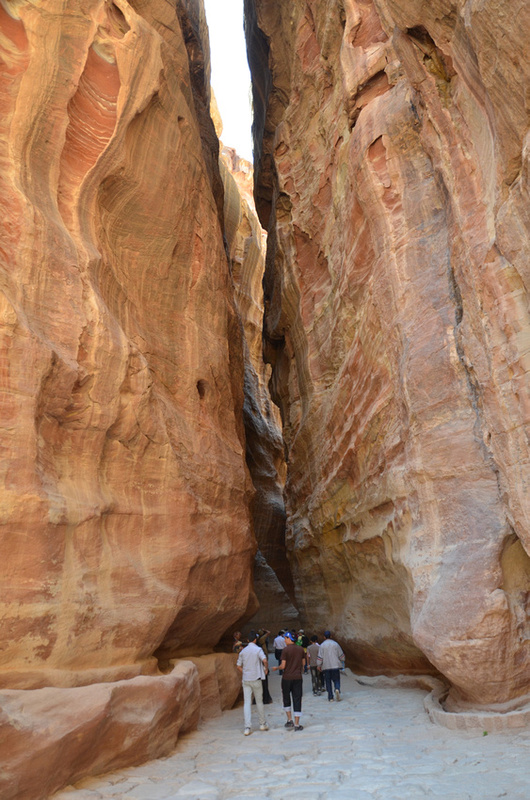 The entrance is via a narrow passage of sandstone known as Al Siq. 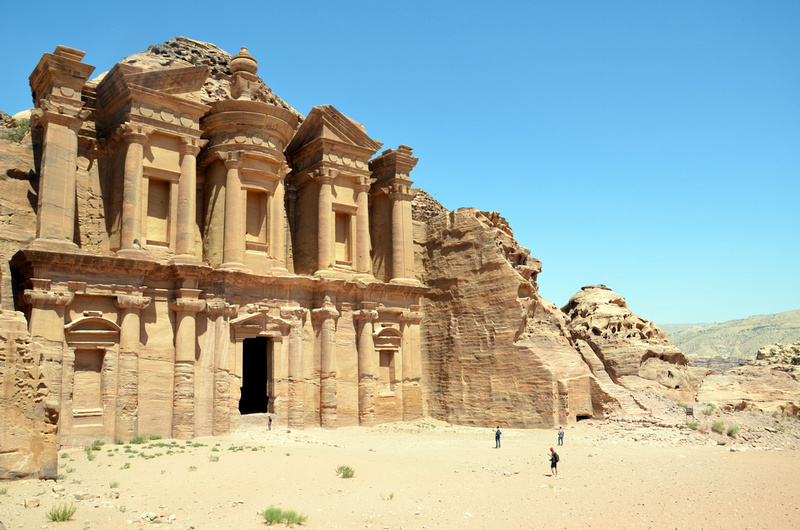 The passageway is over a kilometre long, which makes for a dramatic entrance into the ancient city of Petra and its star attraction, The Treasury (Al Khazneh). Part of what makes this temple so famous is its framing. You come down the winding canyon and boom, there it is, this impressive temple that has been carved from the rock. It is a weird sensation seeing famous landmarks for the first time. It is something so familiar that it is like I have already seen it. Seeing this oh so familiar site I had to remind myself that I had never seen it before. We drove a few hours in the morning to get here, which meant by the time we arrived the sun was already blazing down and the bulk of the day trip buses had arrived. We spent a good amount of time viewing The Treasury, trying to find an angle to take photos in the intense light while trying to crop out the thronging crowds of tour groups. Eventually we conceded that we had made the best of the situation, and it was time to see the rest of the archaeological site. This is where Petra began to surprise me. 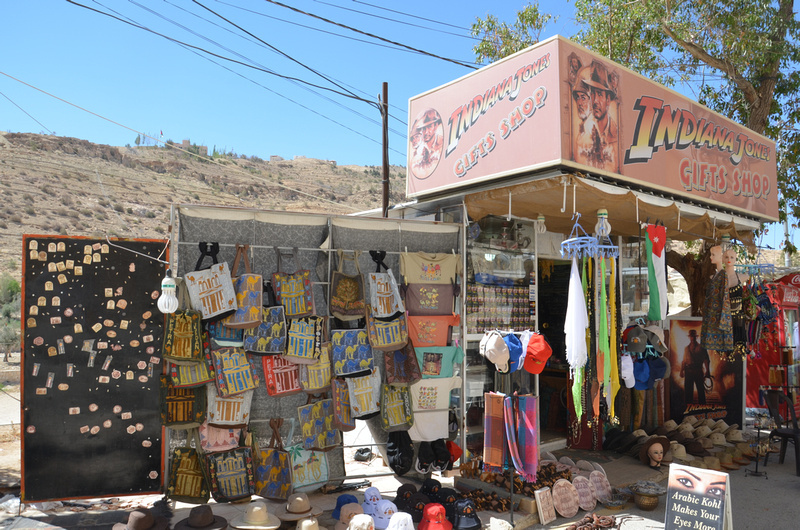 Petra was once a great trading city that was at its greatest during the time of the Nabataeans, more than 2000 years ago. Its geographical location made it ideally suited as a junction of the silk and spice trade routes, connecting the civilizations from China and India, to Greece and Rome. Just beyond the Treasury, Petra opens out to a wider expanse filled with more ruins and a valley that looks more suitable to hosting a city. Seeing more ruins in the far distance, it became apparent why a whole day is required to cover at least the main sites, and even then you will still not see everything. By now our agreed 4.30 meeting time with our guide and driver was starting to look a little tight. Instead of being able to wander the site at our leisure, we had to pick our sites of interest and get on with it. We decided that the Monastery (Ad Deir) was a requisite sight to visit, so we started the brisk walk up the valley path that leads to the site. Looking back over the valley we could see how far we had come, with the rows of temples and tombs that we had still yet to visit. Now that whole day at Petra was starting to look like no way near enough time at all. While carvings of The Monastery haven’t weathered time as well as The Treasury, it is a much bigger sight and it makes for a satisfying reward after the sweaty 45 minute walk up the valley. Beyond the Monastery were even more trails, and yet more hints of ruins in the distance. Fortunately I have long come to realise that I don’t need to see every ruin in the world. Our day was coming to a close and it was time to walk back to meet our guide and driver, retracing our steps of earlier in the day. By now most of the tour groups had left. How do they see everything in such a short time? Do they only visit the Treasury? Maybe they are doing packaged day trips from Amman. I’m not sure, but by the time we got back to The Treasury it was like visiting a different building. The sun had since dipped behind the cliffs which gave the rocks a deeper glow of red, and with few people around it felt like a different site altogether. 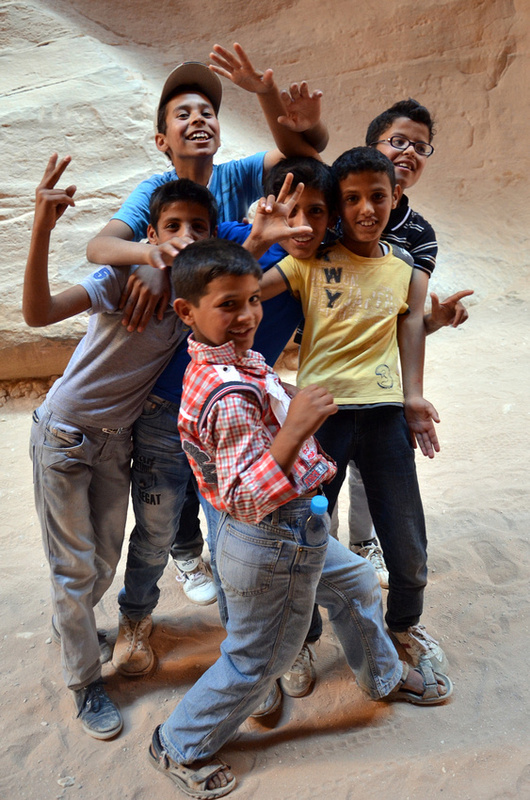 Walking back through Al Siq, happy to have had a second chance at seeing The Treasury, we were greeted by an enthusiastic group of boys who wanted to have their photo taken. A great way to end the day. So Petra was an unexpected surprise for me, but not in a way I thought it would be. 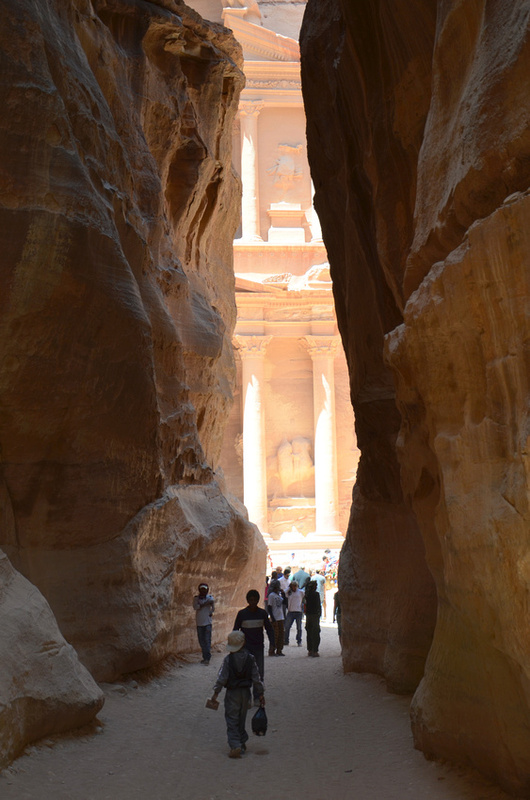 The surprise being that there is more to Petra than The Treasury. Getting a second view of The Treasury made such a difference to my experience as well. If you go to Petra be sure you stay for the whole day so you can see The Treasury later in the afternoon. 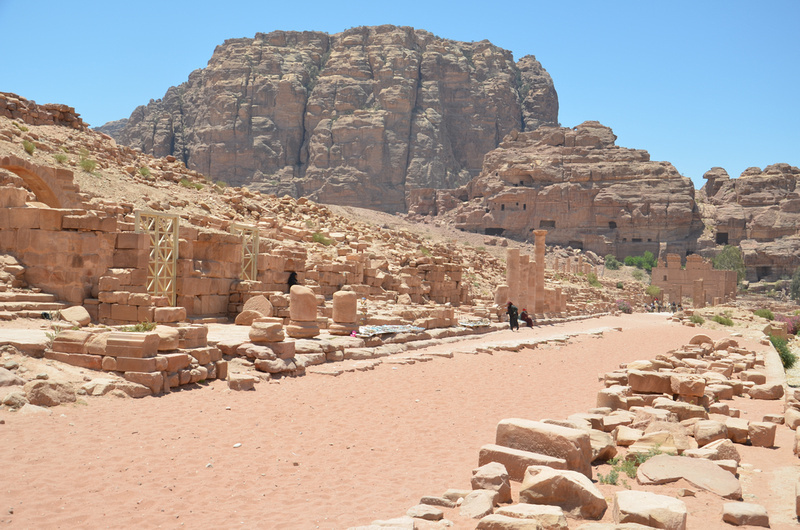 Read Kevin’s account of Petra here: Delayed Gratification at Petra. 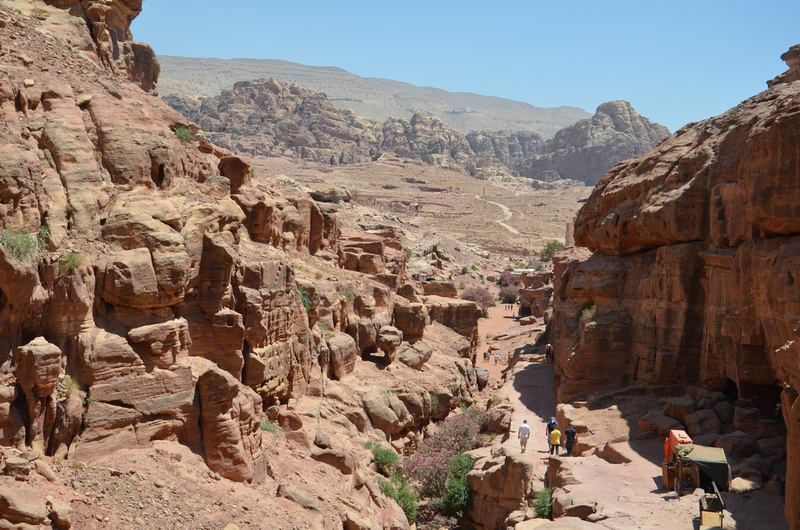 More photos at: Petra photo gallery. 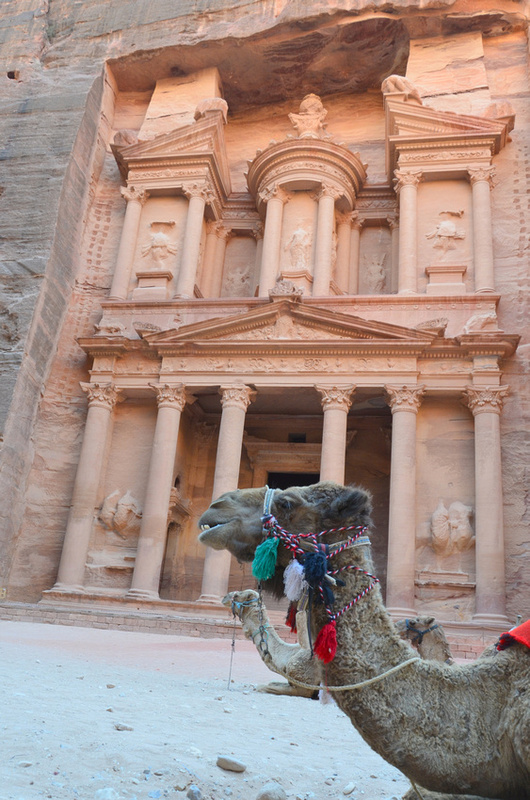 I travelled to Petra as a guest of the Jordan Tourism Board. I would love to see Petra and had no idea there was more to it than that iconic facade. Maybe they need a new slogan…There is more to Petra than The Treasury. After reading your post I want to go to Petra even more now!!! 😀 Nice pics!